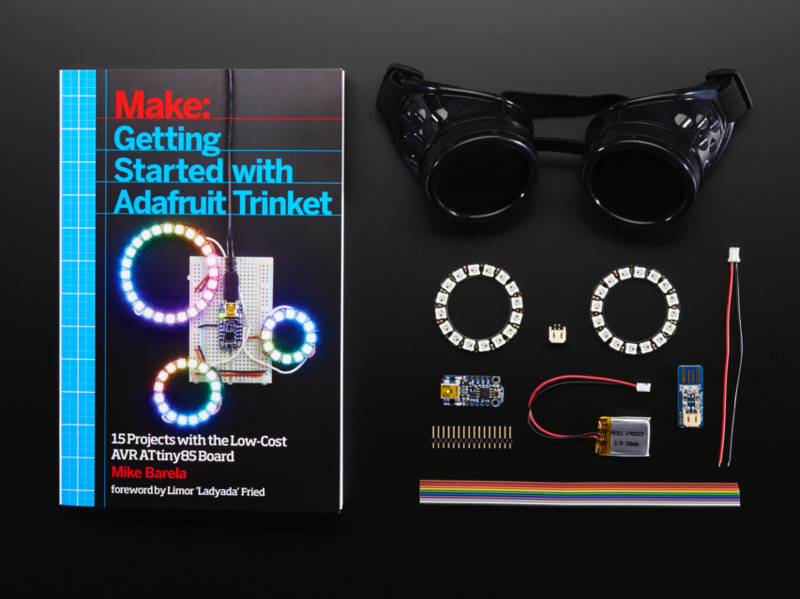 NEW PRODUCTS – Getting Started with Trinket Book + Adafruit Trinket 5V Kit Pack / Getting Started with Trinket Book + NeoPixel Goggles Pack « Adafruit Industries – Makers, hackers, artists, designers and engineers! 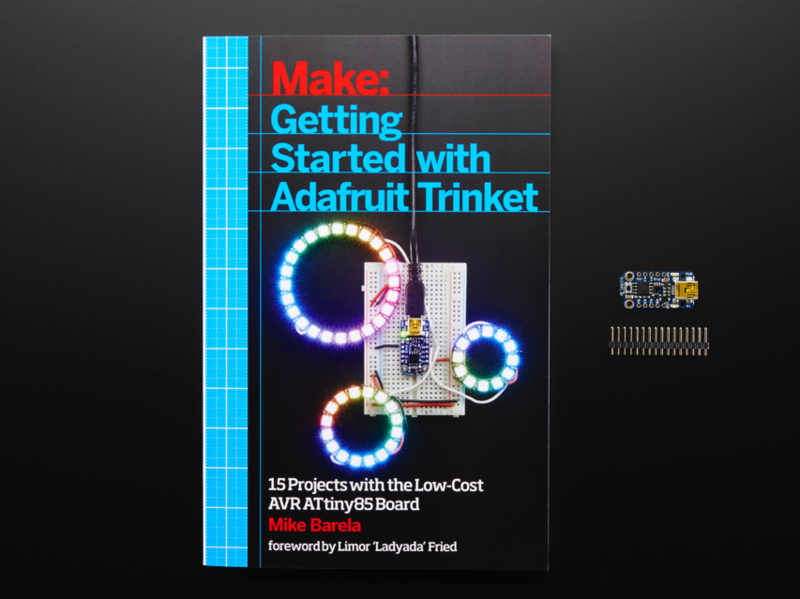 Pick up a copy of “Getting Started with Adafruit Trinket” and for a couple dollars more, hit the ground running with a Trinket 5V! 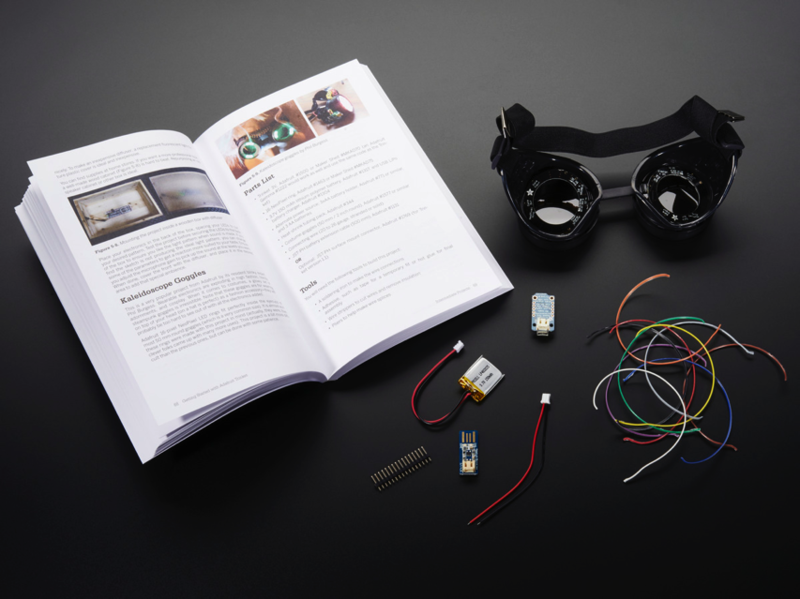 Please Note: This pack contains only an Adafruit Trinket 5V and the Getting Started book. Mini-USB cable, breadboard, and other components are not included. These are fairly easy to put together and should take around an hour to make. You’ll need some basic soldering and hand tools to install the JST connector on the bottom side of the Trinket and connect your NeoPixel rings. We don’t include a soldering iron or solder but sell them in the Adafruit store and you can find epoxy or hot glue at most hardware/craft stores. 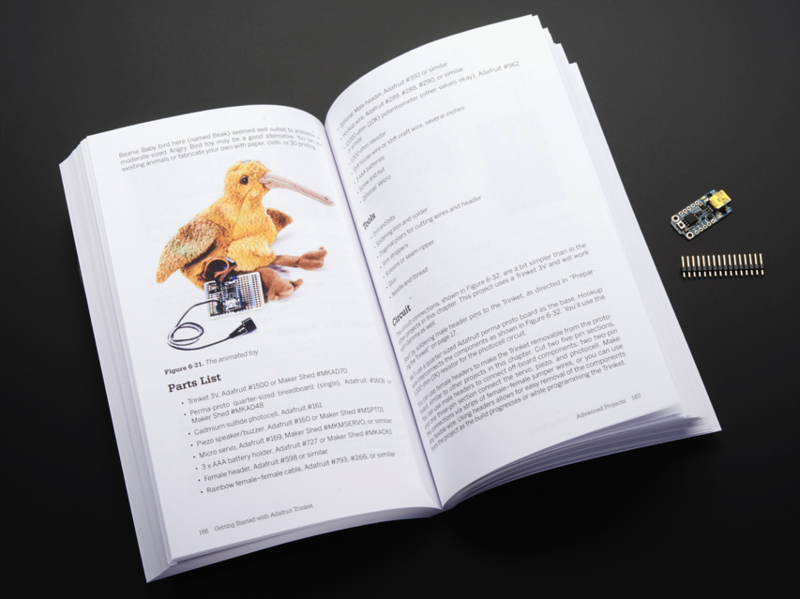 The soldering is easy and is possible to do by beginners, its a 1-2 hour project (30 minutes if you are a kit-making expert!) Check the tutorial page to see what you’ll need to complete the project! You’ll also need a classic USB Mini B cable to program the Trinket, we don’t include it as people tend to have too many USB cables in their desk drawer, but if you need one, you can get it from us here.